Network Fun!!! 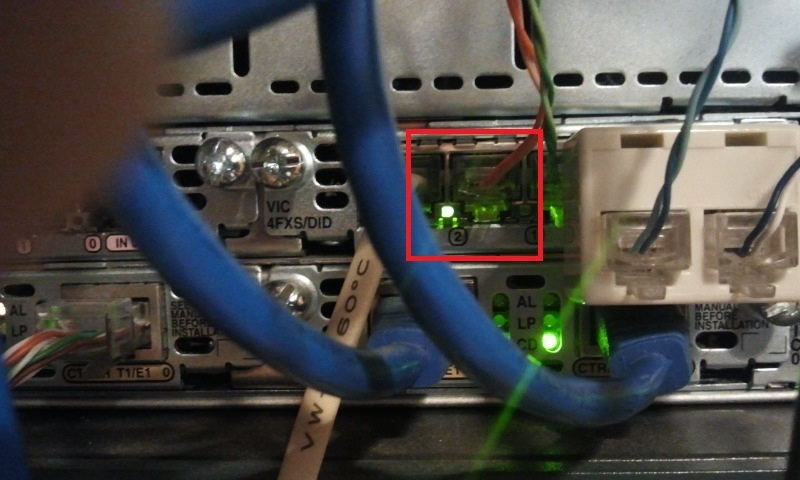 -- A Security/Network Engineer's Blog: Cisco FSX Module: How Can I Tell If My FSX Module Is Working Properly? Cisco FSX Module: How Can I Tell If My FSX Module Is Working Properly? Sometimes getting your dial-peers working right can be a difficult, under certain circumstances. However, a good indication is if you make a call and you see the LED light up on the port you are trying to forward the call to. See the picture below. I have a fax machine at the other end of the FXS port. I make the call in with my cell phone and the dial-peer appears to be working fine, along with the FXS module (indicated by the LED lighting up when I make the call in). Now, just wait for the fax to answer.